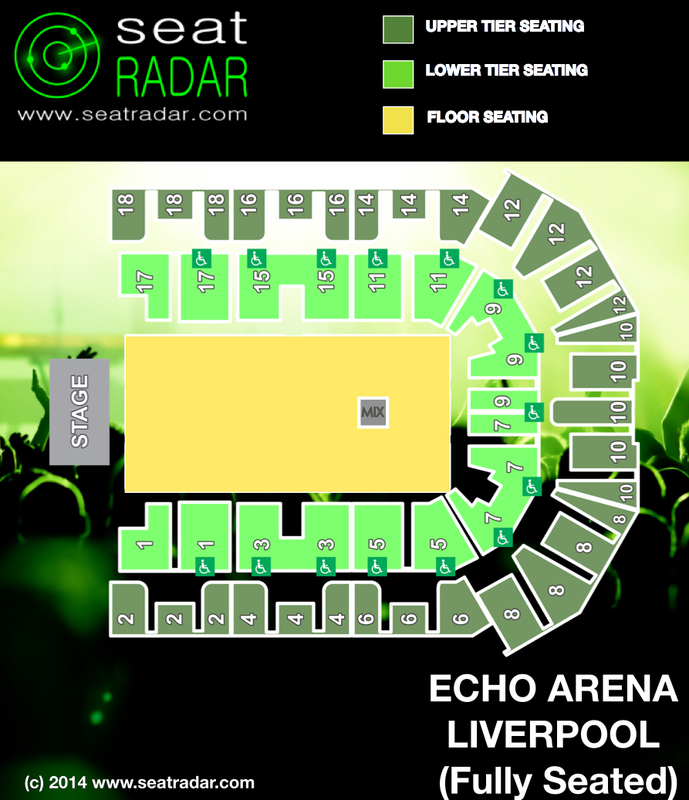 For more information check out our Echo Arena, Liverpool: FAQs below! If there are any questions we haven’t covered, please leave a question in the comments section. 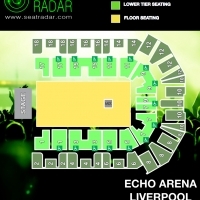 See the layouts for the Echo Arena Seating Plan in our gallery below. (Click on images to enlarge). What are the best seats at the Echo Arena? 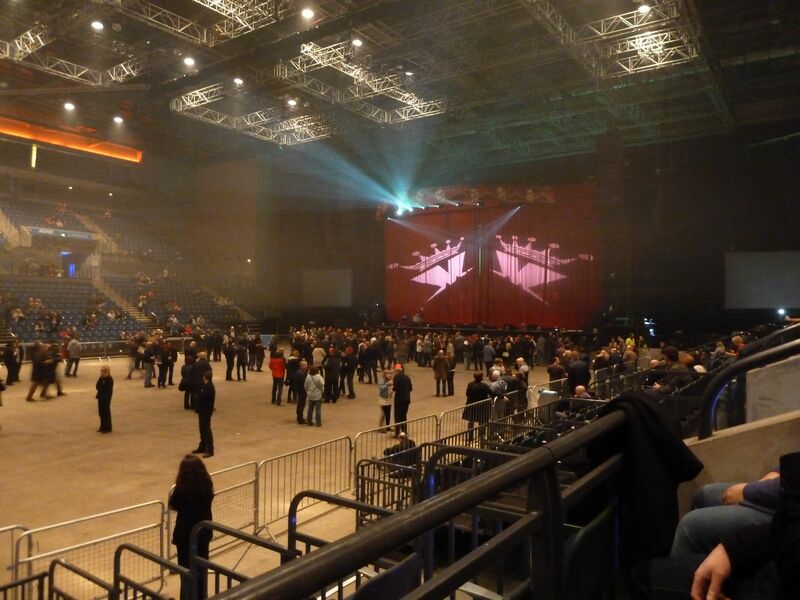 What is the view like from Block [...] of the Echo Arena? Are these good seats? 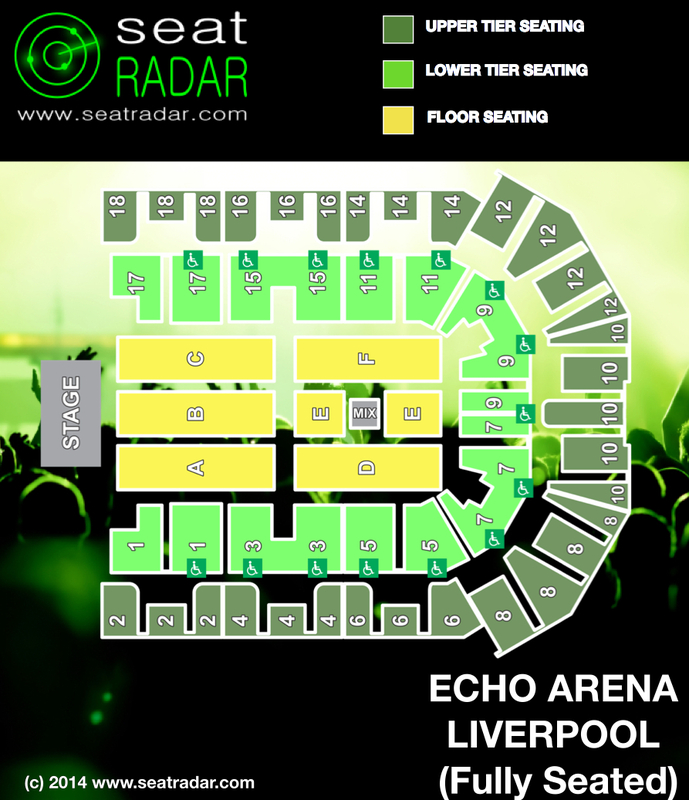 Have a question about the Echo Arena? Leave a comment below and we’ll do our best to help! Can anyone tell me if Block 1 row D seats 38 39 and 40 are good seats please. 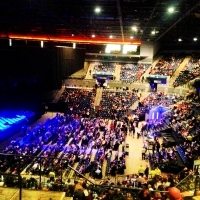 I have bought tickets to Peter Kay at Liverpool Echo Arena on 22nd March 2019, my seats are BL3, Row L 74-75. Are these seared on the sides in the 3 area? Or are they on the ground in the B area, seating maps are confusing! Hi, we are looking at seats for Donny Osmond in BL8, ROW HH, 154 and 155 – are they good seats with a clear view? Hi, I am looking at tickets for the silver anniversary of Disney on ice but seats are limited. There are some available in the upper tier block 8 row LL. Is this going to be a bit restricted with viewing for a 5 year old? I don’t want it to be a waste of money. Hi Will we have a good view of dynamo block 9 row m? Hi, I have been putting off booking tickets for Disney on Ice – because I can’t work out which will give the best view – especially with a tot who won’t be able to see over heads! Now I see that the matinees are booked up and my choice of seats is limited on the remaining shows. Can you advise between Blocks 7, 5 and 4 please? Have booked wheelchair place which says WW 55-57, but none of the seating plan maps have WW on them. Just checking we’re okay. Block 7. For Mrs Brown in Nov 15. Hi going to see Mrs browns boys I bought the tickets 10 mins after being out I need to know if their good seats I’m in section b row g seats 12 and 13??? Hi was wondering if row dd in block b floor seating was a decent seat for Dynamo in March? 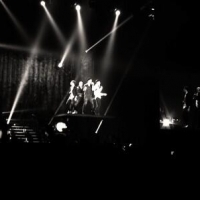 Just bought tickets for Little Mix – Block B Row CC. Will my 12 year old be happy with these ?! Will she be able to see the show ok ?! Hey I am a pain when buying tickets and usually spend to long researching when I should just buy!! !… Please could you tell me how good seats for Duran Duran would be In BLOCK 1 ROW F SEATS 40 & 41?… I usually buy standing or floor seats but fancied a change to tiered seating… Would the angle of the stage be okay from here? Hi, I have block C row A seats 39&40 for S Club 7 next Wednesday. I think they’re 6 or 7 seats away from the end row so I was just wondering whether I would be in front of the stage or not at all. Thank you. 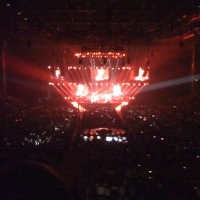 Looking at Simply Red concert for a special birthday. Some availability in floor blocks A B & C rows B to H.
Are there actual seats here or is it really for standing. I know their upper tier but how many rows back? Hey Sara – there are 18 rows in total and NN is the 13th. 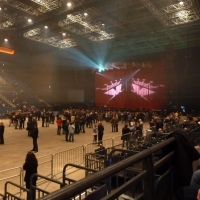 Bought tickets to Ellie Goulding, Block 16 — Row BB – 377/378 Abit worried about this seat, i mean it’s bound to be somewhat disappointing i’ve always been near the front but i didn’t want to pay too much or stand for this one… But honest opinions on this Block and row? Thanks. 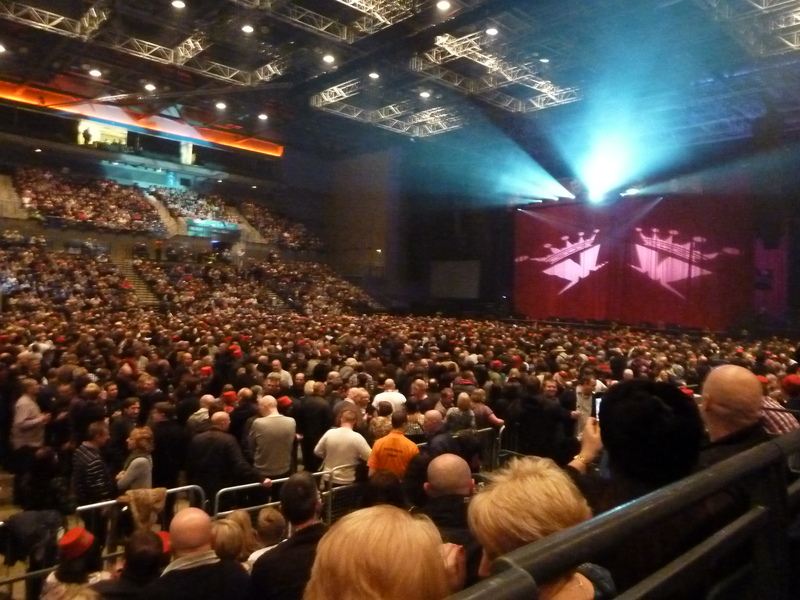 Hi, about to book tickets for Paul Maccartney Liverpool Echco arena. 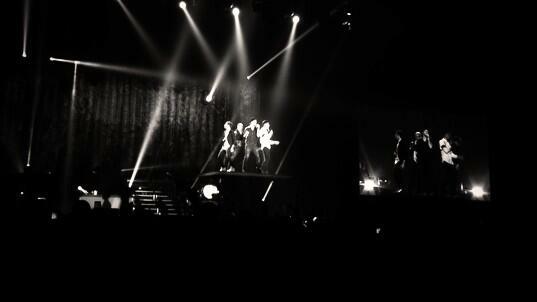 Can u tell me if block 2 has a decent view, thanks. Hi Joanna, it will depend on where exactly the seats are. Seats go from 1 to 42. 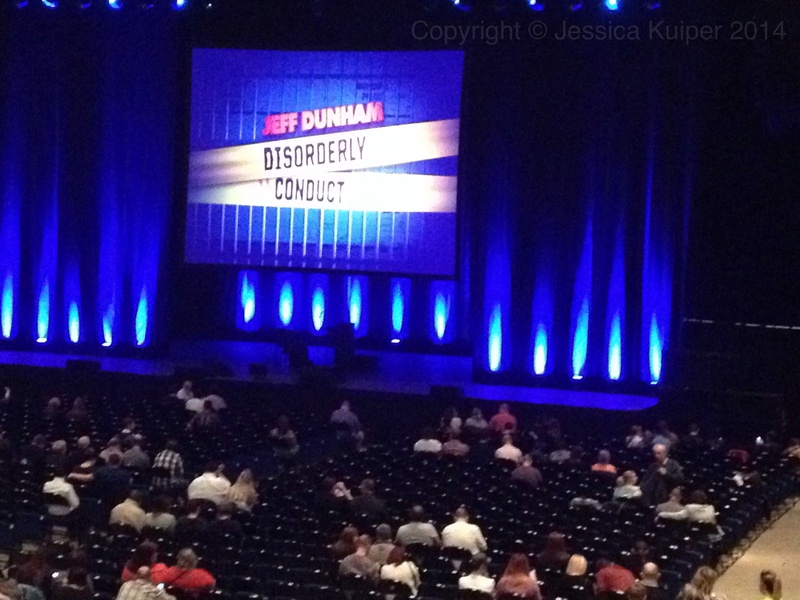 Seat 1 is closest to the stage but would be quite a side on view. The best location in the block is probably seats 33 or above in Rows AA to FF. What did you end up getting? Hi, thanks for your reply. I didn’t go for block 2 , i’ve chosen seats in block 5 lower tier row A, hope these are good ones?. hi, I am about to buy tickets on the standing floor to see nicki minaj and i was wondering if the seats are unreserved and you have to get there early or if seats are allocated to you? Hi to the best of our knowledge this gig will be a full standing configuration event which should mean that it’s all unallocated and you’ll have to arrive early. Do check with the venue directly though if you are concerned. Hi Garry, Block 5 starts at Row A and goes back/up to Row M, so you are second-last row in that block. Seat numbers run from 87 (near block 3) to 142 (near block 7) so you are very close to the end of the row, next to Block 3. 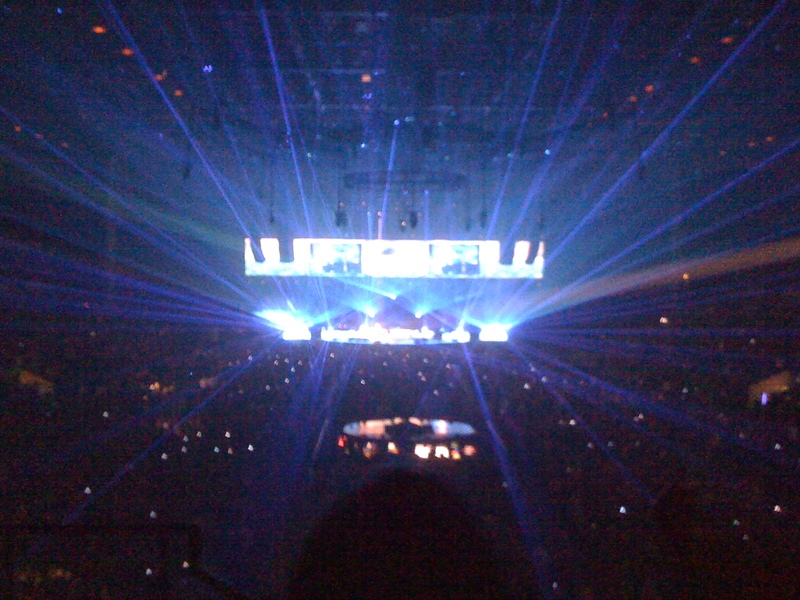 Block 5 is on the right as you look out from the stage, about halfway back in the arena. Hi Mary – you don’t mention the Row (or perhaps “just” is a typo/auto-correct)? In any event, there is a photo from Block 16 Row LL in the gallery so if you take a look at that it should hopefully help. Hi Carla – as far as we are aware the blocks are all have numbers rather than letters so we’re not sure? Hi, Would it be a fairly good view if seated in the Upper level EE for the Disney on Ice show? 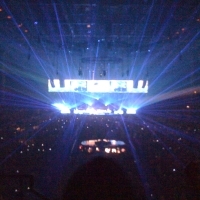 I am thinking the performance area is much bigger than the stage so seating in the upper level wouldn’t be too bad. Hi Renee – that is of course right to an extent e.g. in terms of seeing the overall action etc. 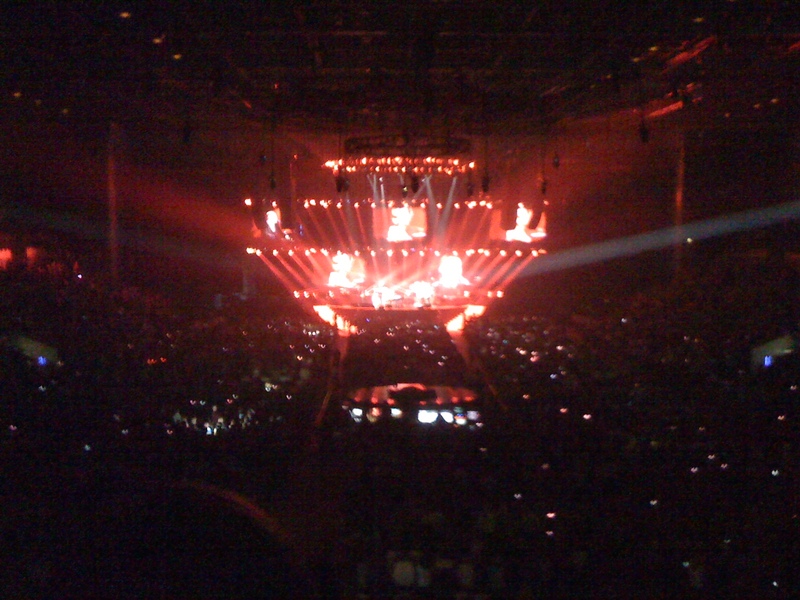 That said, the show would probably be more enjoyable from the lower tier just in terms of being closer to the action and being able to make out more detail etc. 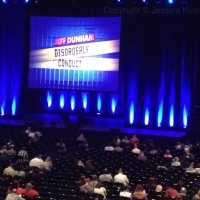 Hey Jody so this means you are in Row U of Block D. Block D is one of the floor-seating areas. 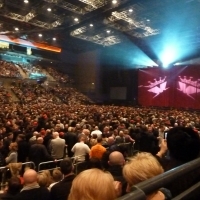 Row U will be towards the back of the arena and your seats will be on the left hand side (as you look towards the stage). 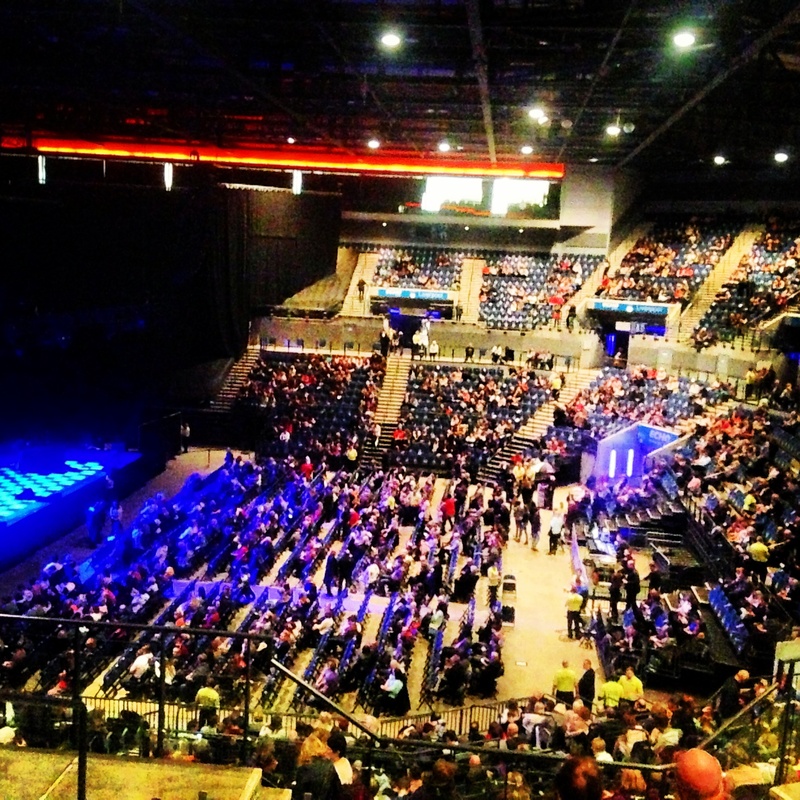 I’ve just received tickets to watch the Script in this arena. We’re in the upper tier, block 04 & Row FF & seats 56,57&58. How good are those seats? Hey Zara! Great job getting tickets to The Script! If you look in the gallery, you’ll find a photo from Block 16 seat 425 which is almost directly opposite where you will be sitting. That photo was taken from LL (this is the row that is highest/further back) but we suspect the fan has zoomed in a little. 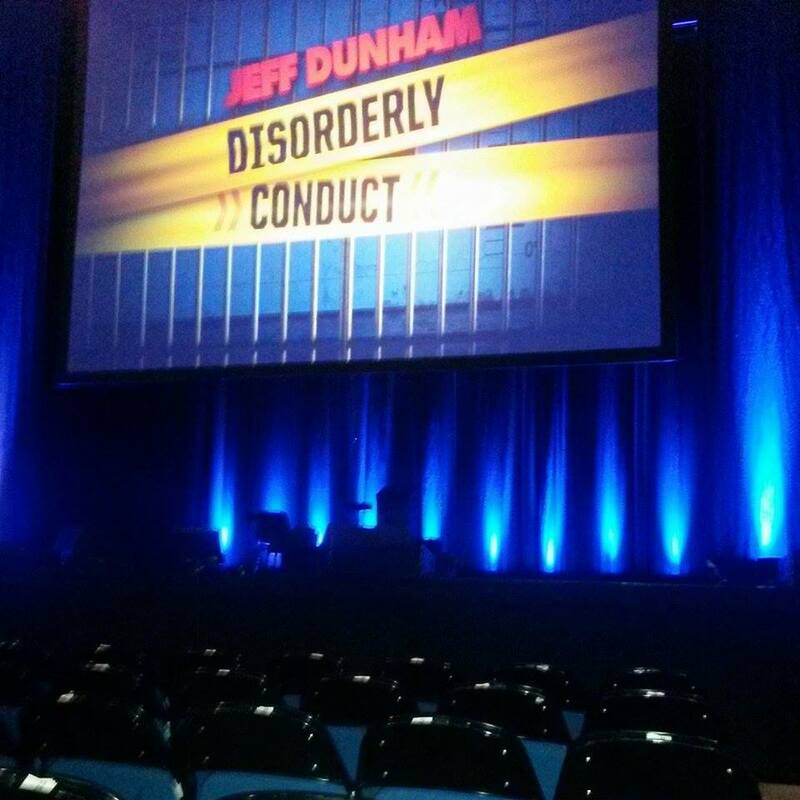 That said, you will be five rows lower down in any event so if you imagine that photo just from the other side of the arena that should give you an idea. The position of your seats is essentially fine except that in an ideal world you’d be lower down. Have a great time and please do come back to upload a pic! Hi , I have tickets for Disney on Ice. 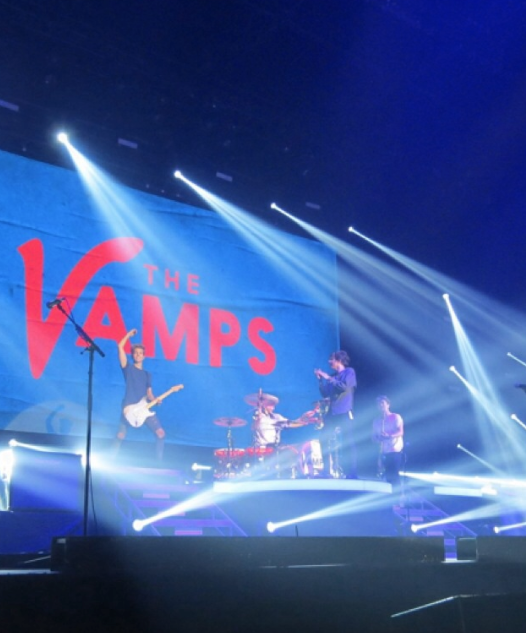 We have Block 9 Row J … how are they? good view? Hi Angela, Block 9 is in the lower tier so you can’t go too wrong and it’s not a bad idea to be a few rows back/up as you are as it takes advantage of the extra height from the tiered seating which can be useful for smaller children. Have a great time and please do come back with a photo! Hi, I’ve jus bought tickets for Disney on ice we have row LL where is that? Hi Nicola – likely to the be the uppermost tier but can’t say exactly without knowing which block. Thanks for the reply. Have decided to go further up the tier to Row D.
Have previous experience of a first row tier seat that was too low to see over standers comfortably so always try to check on new places. I can’t tell if the “standing” area has seating , do they place seats on the floor area for special concerts ? how is the standing area assigned ? why are the ticket prices different in the standing area ? Thanks for reply – sorry to ask more but….are the seats raised ENOUGH to see over the standers heads when seated in the front of the side tiers. I’ve tried to see from pics but it looks like standers and arena staff would be at head level or higher, with those in seats. Thanks for any further input. Hi John – we’ve looked into this a bit more and on balance it would seem there’s a good likelihood of your view being obstructed in that position. Another issue as you say it the staff who will also walk around the area during the event which could be rather irritating if they are crossing your field of view. We’d suggest going higher up if possible! 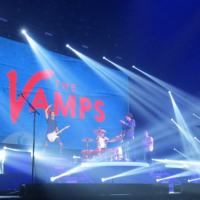 Are the seats in the front row of the first level of tiered seating, raised off the floor.? I ‘m concerned that if the arena floor is ‘standing’ that sitting in the front row of the side tiered seating, will mean that you can’t see over the standers!